What habits are you working on right now? 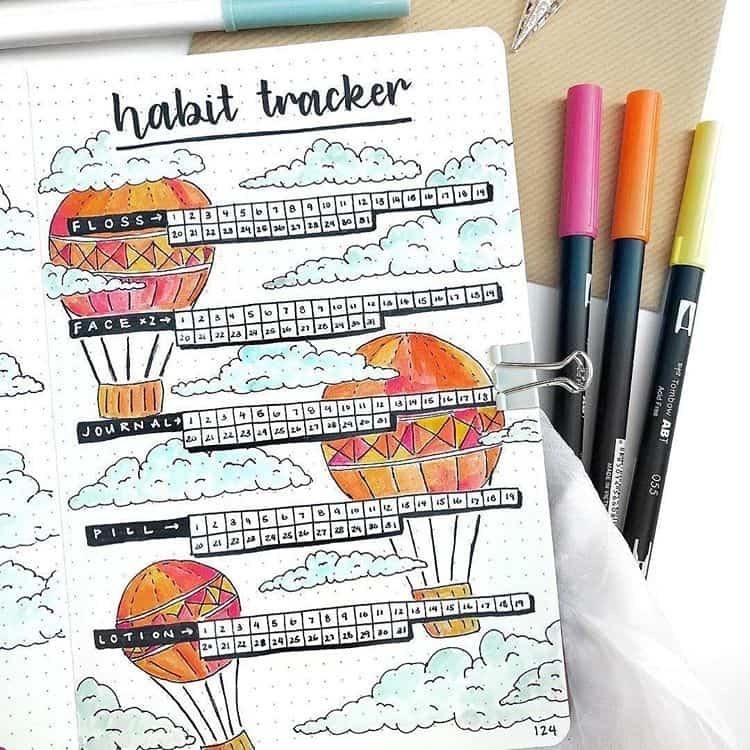 These Bullet Journal habit tracker layout ideas will help you achieve your goals and they look great too! 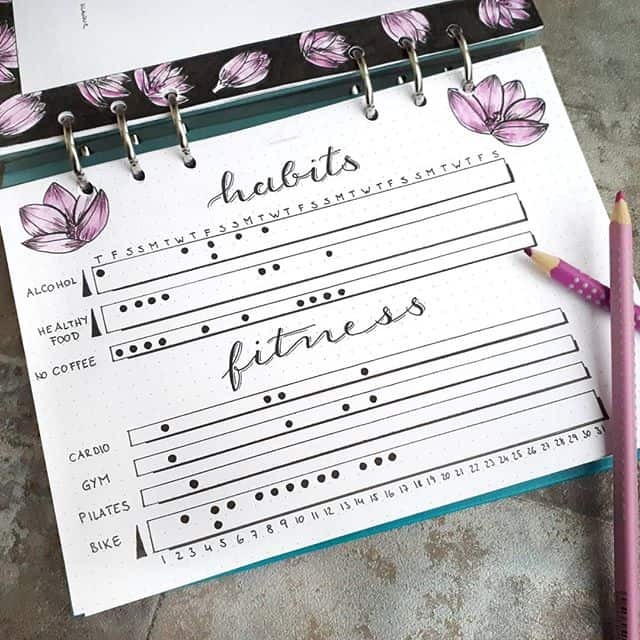 It’s time for another Bullet Journal Tracker post… and today we’re taking a closer look at Bullet Journal habit tracker layout ideas. 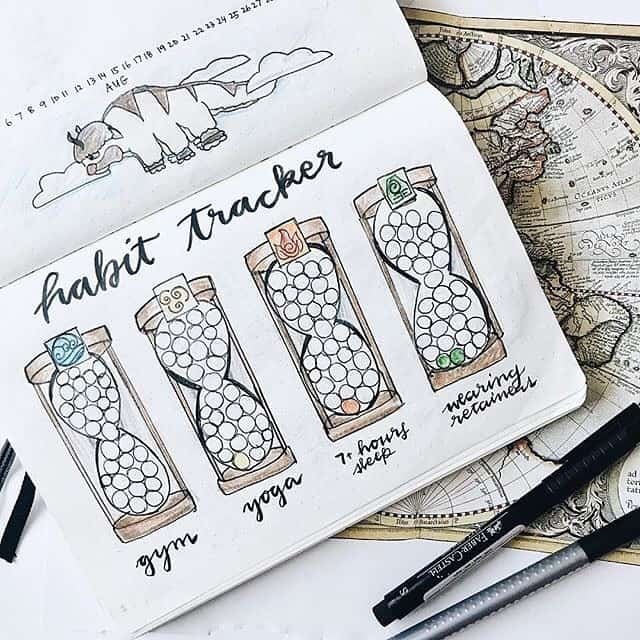 We’ll look at why you should track the progress of your habits in the first place, and some creative BUJO spreads to inspire you to make your own trackers each month. Why Does Tracking Your Habits Matter Anyway? After you have created some new habits, remember that you want to keep track of the progress. This might seem silly if you are doing something like waking up a little earlier, but keeping track of the habits you are working on and your progress can be really beneficial for you. Keeping up with new habits is a challenge, since you are adjusting to doing something different in your daily life that you were not doing before. From switching your morning cup of coffee for tea instead, to remembering to fit in a workout before bed at night, you need time to adjust to it. There might also come a time when you lose some of your motivation, making it harder to stick to. 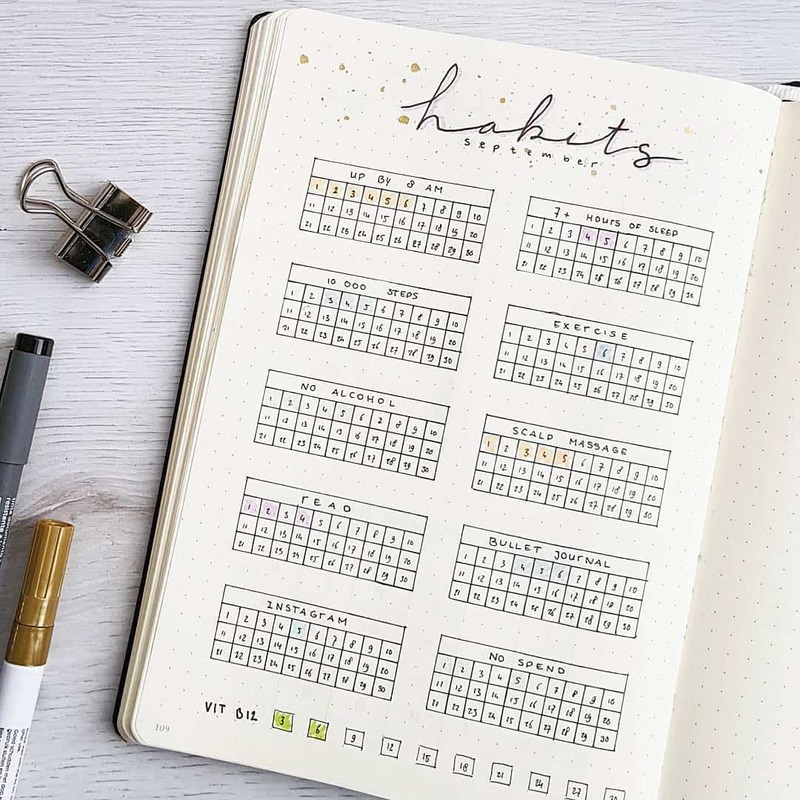 By tracking it in a journal or planner, you can see how long you have been keeping up with the new habit, and remind yourself every day to continue with it. Tracking the habit isn’t just a matter of marking down how many days you have done it for, but actually making notes about how it is going. This is why using a journal is highly recommended. You can write about how you feel it is going, if and when you are seeing improvements from the new habit, and yes, sometimes that you just are not seeing benefits from it. Many new habits are created in order for you to reach certain goals in your personal or professional life. By tracking progress of your habits, you can also use it to help mark things off your task list for each of your goals. Maybe you have a goal of one day completing a 10k, so you need to start new habits of walking each day, then running each day, then making sure you are fuelling your body with healthy foods. These habits are helping you to reach your end goal. Lastly, some of your new habits will need to be adjusted or change completely. However, you don’t want to do this too quickly, or just because you don’t want to wake up early anymore. Instead, it helps to have a way to track the progress, including how long you have been doing it for, if you have been consistent, and if it is benefiting you in the way you thought. This is really only something you can see if you have been tracking it the entire time. Forming new habits is a wonderful way to improve your life, reach your goals, and have the motivation and momentum to accomplish anything you want. Tracking is a big part of habit formation and this is where using a journal can come in handy. The first way a journal is going to help you is during the beginning stages when you are deciding on the habits you want to form in your life. You can start by talking about where in your life you want to improve, or some goals you have. Maybe you come up with a few different daily habits you feel would get you closer to your goals, starting just one at a time. Journaling before you set your habits can also help you to work out the details. You know which ones to start with, what the daily habit and schedule should be, and how your new habits can fit into your current lifestyle. Naturally, your journal will also be used to track your new habits. Remember to include the start date, what the habit is, why you are doing it, and track each day, including if you kept up with that new habit, and how it is going. If you feel like your habit isn’t quite giving you the results you wanted, don’t quit just yet. Use your journal to really work out what has been going on and where you think it might be going wrong. Sometimes, it is because you were not consistent with it or not working hard enough on the new habit. In other ways, there is just one small detail about it that needs to be changed. Journaling is going to help with this from the time when you create your habits, throughout the entire tracking process. Now you know WHY you should use your Bullet Journal to track your habits let’s look at HOW to do it! 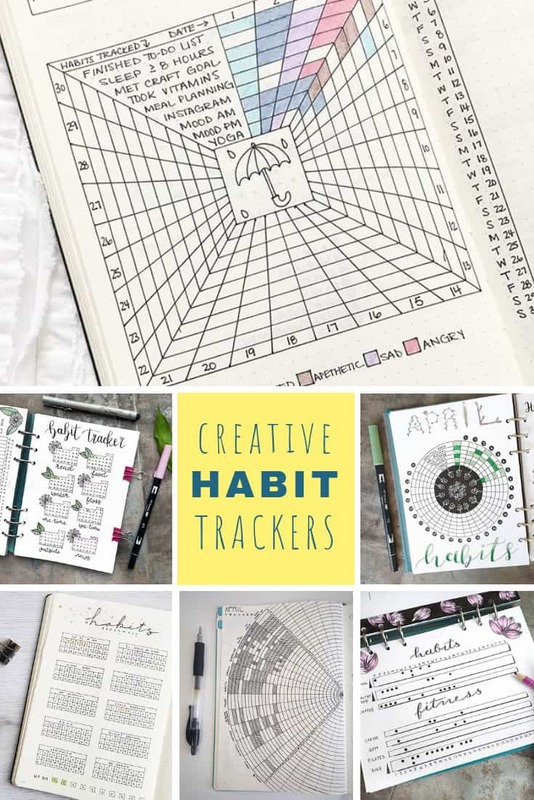 We’ve rounded up some creative Bullet Journal habit track layout spreads for you to put to the test. 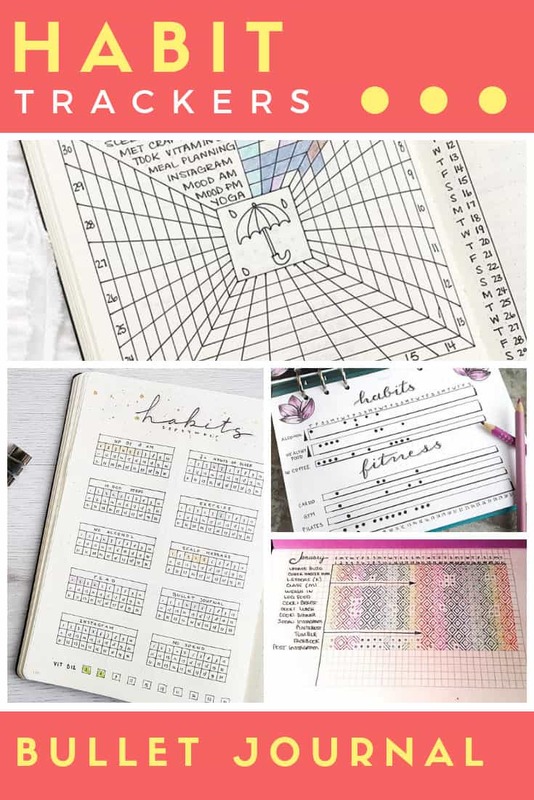 Remember the best bit about your Bullet Journal is you can try something different every month so make sure you pin this post in case the first tracker you try doesn’t work out for you and you want to come back and choose another one! 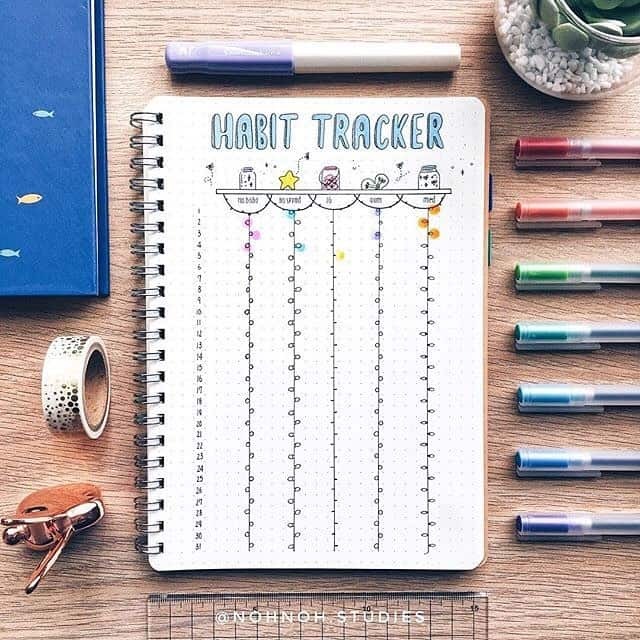 Oh and if you don’t have time to draw out your own you can download our free habit tracker printable instead! 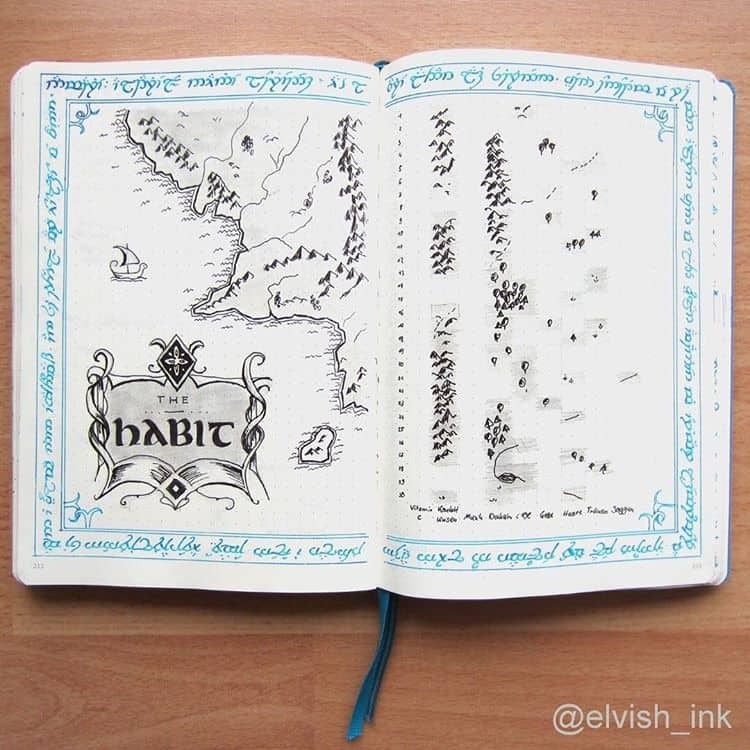 If you’re a Lord of the Rings fan you really should try a habit tracker like this! This is such a simple idea but will look so effective as you add the light bulbs to the string each day! Oh I love this idea for a hot air balloon tracking spread! 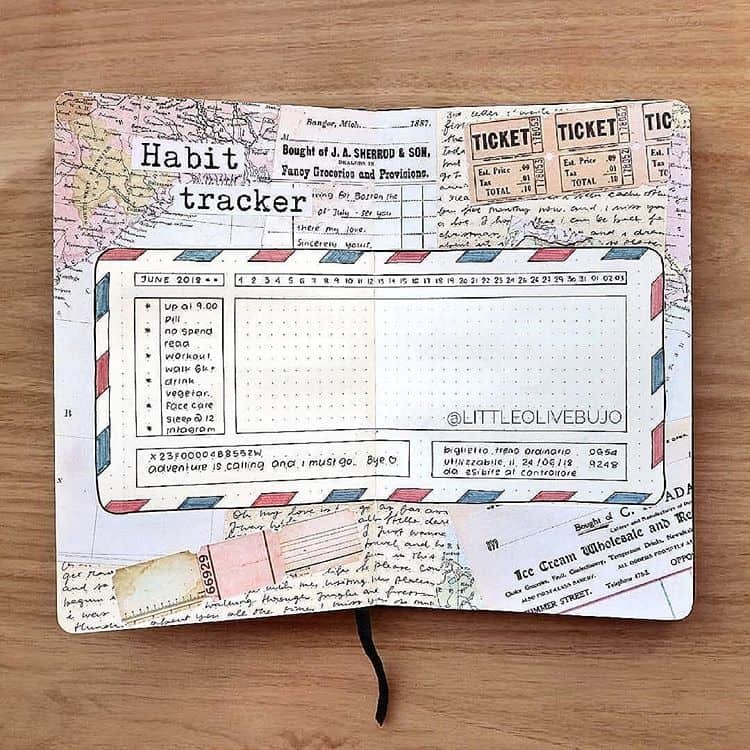 If you’re counting down the days to a vacation (like I am) then why not get into the travel spirit with a fantastic habit tracker like this one! This sand timer tracker layout with those little circles of sand actually reminds me of the gumball mood tracker I shared the other day! 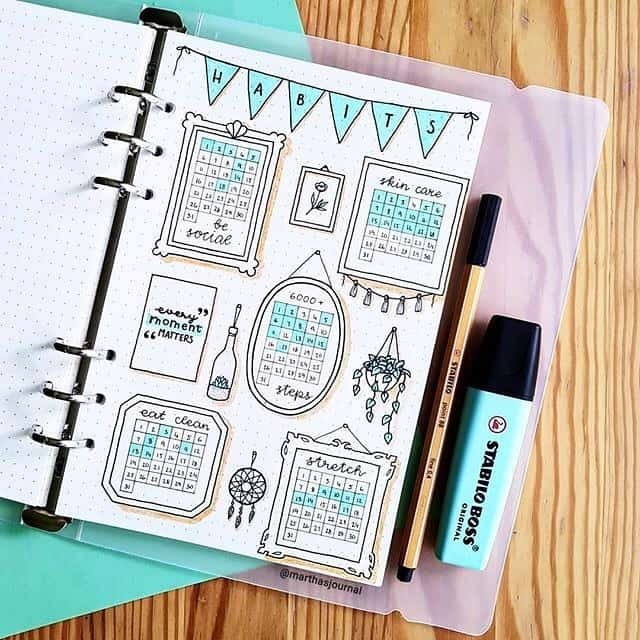 Oh this is a super creative spread with all those different picture frames housing the calendar squares to colour in as you complete your habits! If you like minimalist spreads in your journal this grid style habit tracker should work for you. You will need to set aside some time to draw out all of the lines though. If you don’t have time for drawing lines try a tracker layout like this one instead. You write out your habits down the left, and the dates across the top and then use your neon staedtlers to mark off each one. Or you could go 50/50 and draw an outline which you then complete with a dot each day. 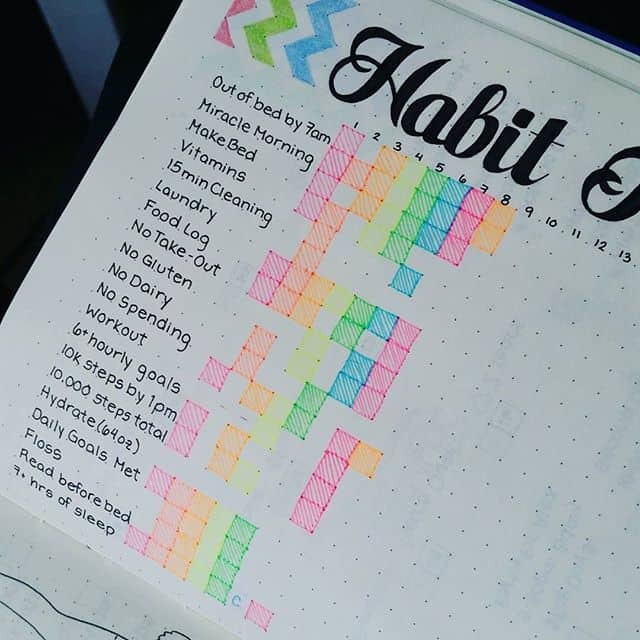 I like how this spread includes habits and fitness goals on the same spread. 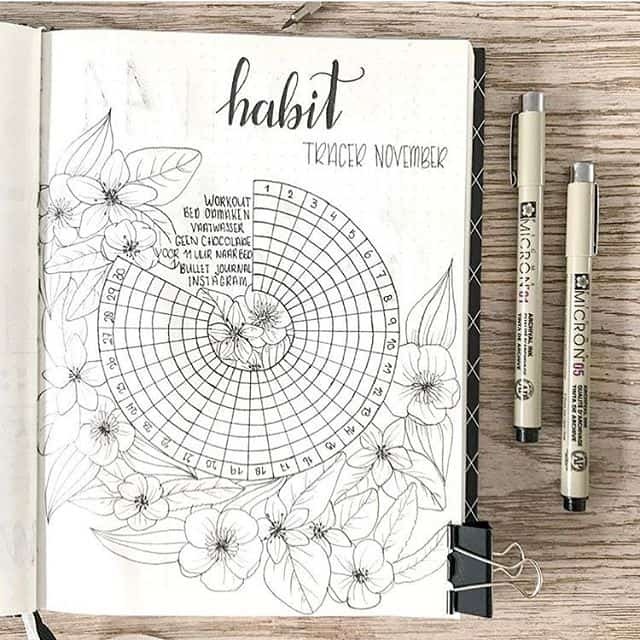 If you love mandalas then try something like this for your habit tracker. You use different color pens and line styles each day so that at the end of the month you have something to look at. I like how Kit used a dot on her “missed days” because the blanks squares looked odd in the overall design. 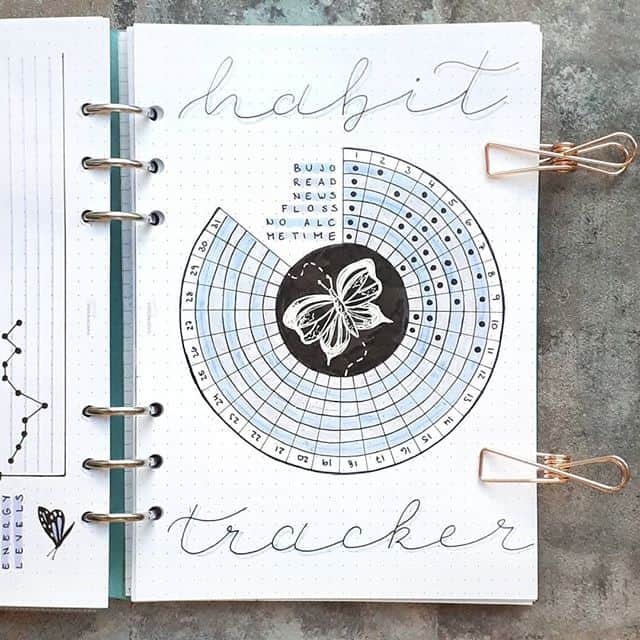 Circle habit trackers like this one are super popular, but don’t even think about trying to draw one out without a stencil! This stencil set is super popular with our readers. This particular spread has space for tracking six habits and I like the floral design in the middle. It’s really easy to keep track of the days too with those black date circles. 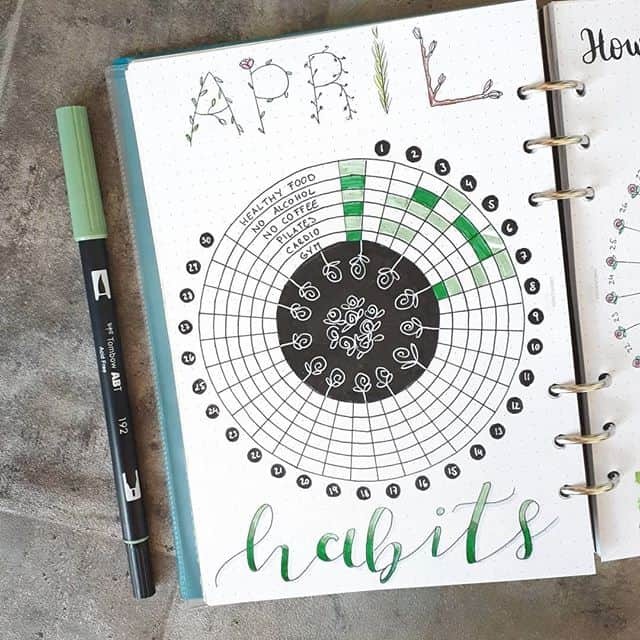 Here’s another idea for a circular habit tracker, this time a gap has been left in the circle to write in the habits, and a few more rows added too. 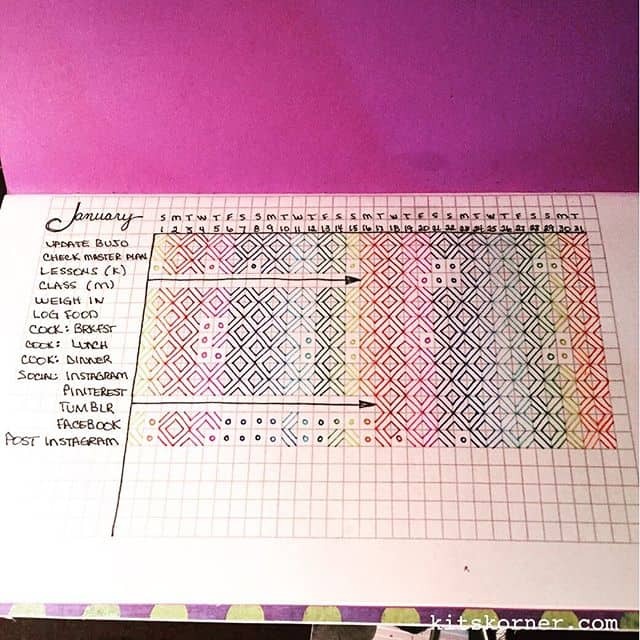 This tracker is almost identical to the one we just looked at, but Sera has a great hack for shading alternate rows so it’s easy to see which row belongs to which habit! And here’s an entirely different take on the circle tracker! 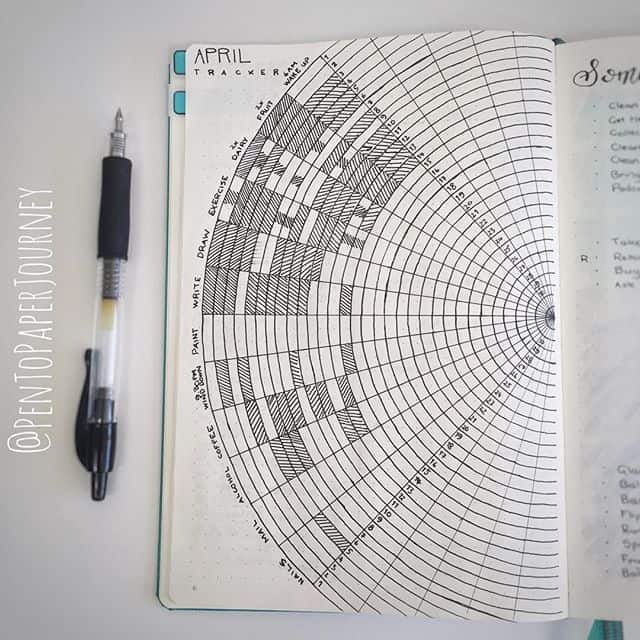 This time the circle is huge but only a section is being used for the tracker, and the rows are actually the dates so each “wedge” belongs to one habit. Or you could turn your circle into a square! 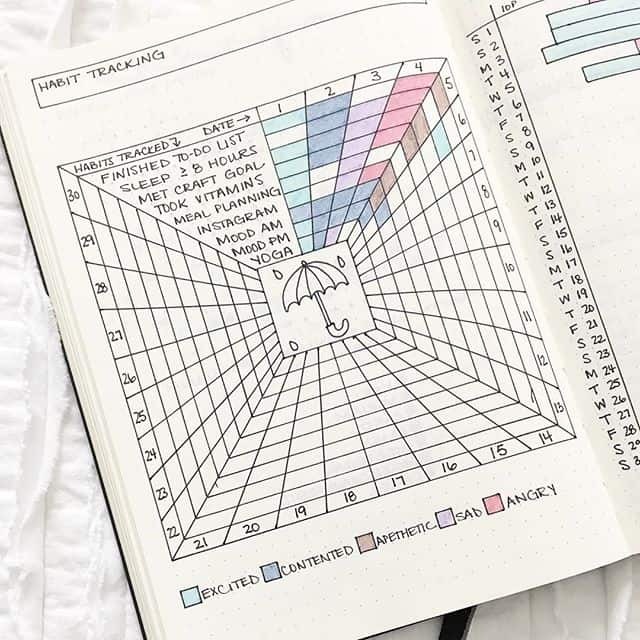 I love how this Bullet Journal habit tracker layout becomes an optical illusion too… is that umbrella at the apex of a pyramid, or the bottom of a well?? Want some more stuff to track? 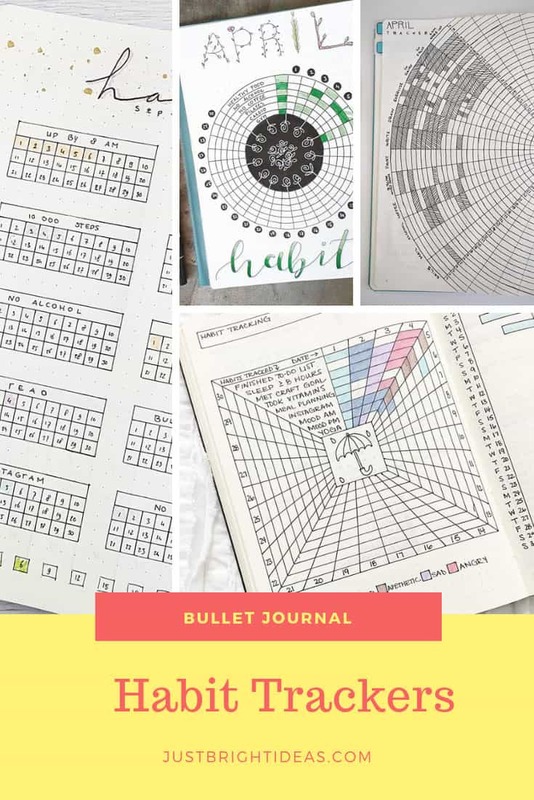 Don’t miss our collection of Bullet Journal Tracker Ideas – the ULTIMATE list of layouts that’s been shared nearly 200,000 times!